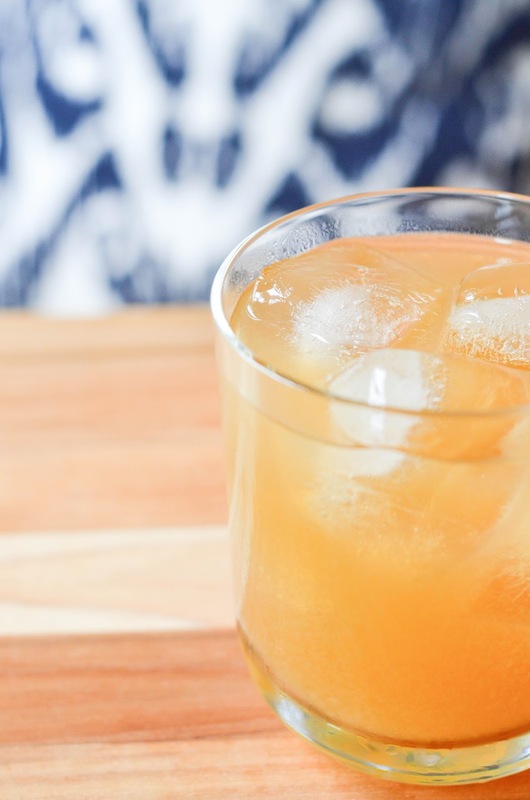 Today we're getting back to basics with a classic 1920s cocktail. As I said in my interview with Kate earlier this week, making cocktails at home shouldn't be a daunting task. 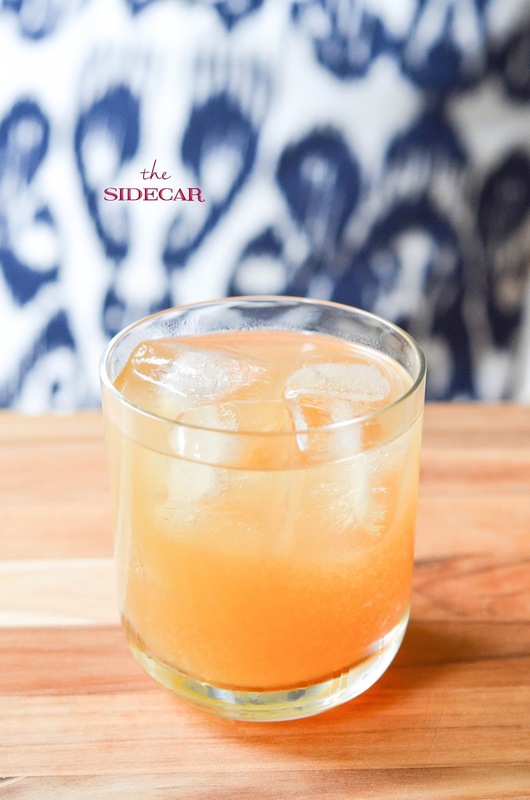 With that said, it doesn't get much simpler than the sidecar, though I do admit they are an acquired taste for those who prefer drinks of the sweeter variety. If you take all the bourbon and hops you can get, stop rolling your eyes. JD and I have been making sidecars a lot lately. Mostly because we have a bottle of cognac in the credenza liquor cabinet. But we like our classic cocktails, a lot, and the twenties is always my favorite place to start, for anything. The sidecar has a bit of a kick to it thanks in part to the lemon juice, but also a good amount of sweetness. If you mix it right it's perfectly smooth and dangerous. There are recipes out there that will suggest adding a sugar rim or some fruit for garnish but that isn't really necessary. To each their own I say. Use what you like and what you have. After all, a good percentage of these drinks are just that. 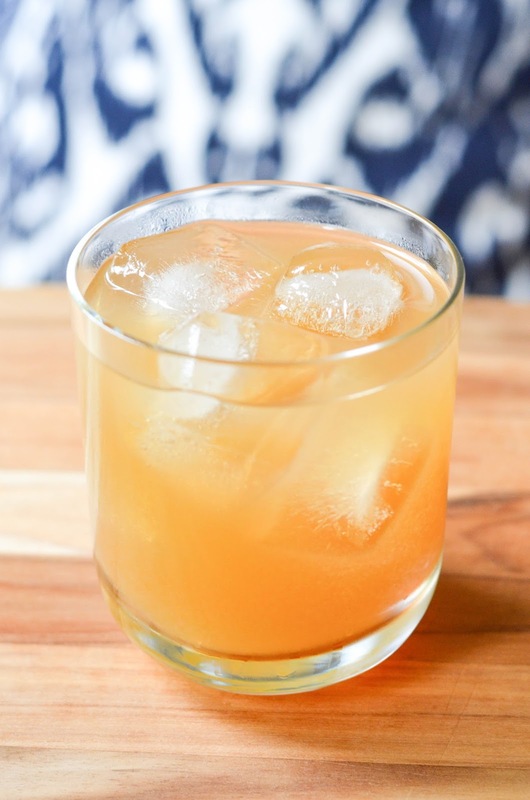 In a large glass or shaker combine cognac, orange liqueur, and lemon juice. Shake with ice, serve, and enjoy! 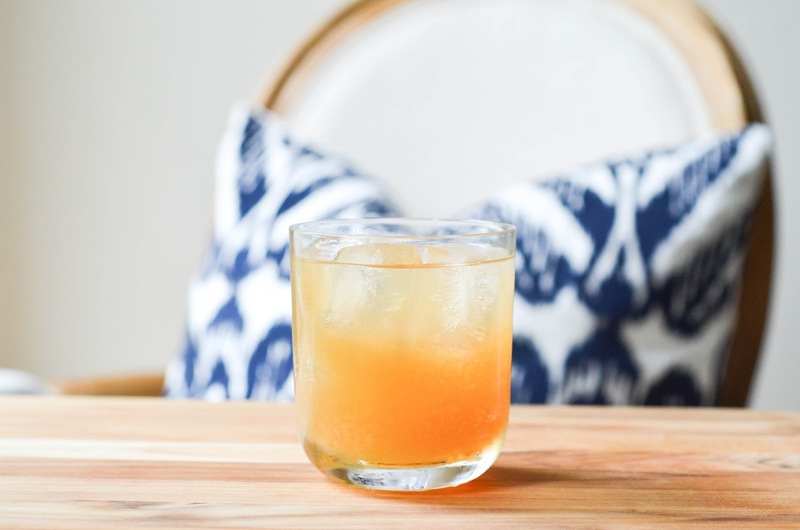 Such a simple drink yet I've never tried to make it before! Definitely giving it a try this summer, it sounds refreshing! And obsessed with your pillow haha! I'm with Pamela, I've never tried to make a sidecar! this just makes me want to go outside and have a drink!!! yum, I love sidecars! I'll have to check out your spicy grapefruit marg too that I saw at the bottom of this post - I'm such a sucker for cocktails! What a GORGEOUS orange drink. Love it! Im thinking YES it is easy to make xD haha I always find recipes for anything online seem to be super complicated or have ingredients that no one actually has at home. But this was great ,I could literally make this drink in 2 min from the moment I read this post xD! I appreciate that.